The City of New York has imposed stricter requirements on ALL employers by amending the administrative code of the City of New York, in order to expand protections for nursing mothers. 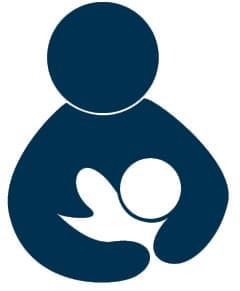 NYC employers with 4 or more employees must make “reasonable efforts” to provide a “lactation room”, and a refrigerator suitable for breast milk upon request of breastfeeding employees, if it doesn’t impose an “undue burden” on the employer. Have nearby access to running water. Must be in close proximity to the breastfeeding employees work area. Employers must provide notice to other employees that the room is given preference for use as a lactation room. If providing a lactation room is an “undue burden”, employers must discuss alternate accommodations/options and must provide an outcome of the request in writing. NYC employers with 4 or more employees are required to have a written lactation room policy that must be given to all new employees at the time of hiring. Provide a statement explaining the possibility of undue hardship and employer’s responsibility to discuss other options. ***The NYC Human Rights Commission has model lactation room policies, which can be used by employers to properly create their own.